In 2005, I decided to see if I could sell my own house in Ireland privately on the web, and I just couldn't believe how successful it turned out to be ! I sold my property via my own website for a premium price, I spent a small amount on Advertising and I paid No Agent Fees saving myself Thousands of Euro. That's when it hit me, other Irish private house sellers and owners needed a professional, simple, yet inexpensive way to advertise their property for sale online, and so Sellmyhouse.ie was born ! Here you will find Ireland's largest independent selection of homes and properties for sale by owner privately in Ireland and you can contact the property seller directly. We Sold our house in Kerry through your website, and we were really delighted with the service. In fact, we are now promoting another property we have for sale through your site. We saved a fortune on agents fees. Great service, incredible value, property sellers would be crazy not to give it a go !!! My experience of the Sellmyhouse.ie service has been very positive! From your service, in a relatively short time, I've had over 40 Enquiries, resulting in a good number of viewings and I've just accepted an offer from a buyer who came from your site. All at a very low cost, in a word ... Brillant!" Thank you for the great service. I've just accepted an offer on my Donegal Property from a buyer who came from your website. In only 6 weeks, I had multiple enquires and 3 viewing requests from your site. I also had it listed with an estate agent with limited results. I can't believe it was such an easy process I was able to correspond directly with my buyer by email to discuss issues which would have taken a long time through a third person. Your site delivered and so I've saved a lot on estate agent fees and all at a very low cost. I am pleased to highly recommend your property advertising service. I am delighted to be able to tell you that the sale of my house in Wexford has been completed just yesterday. I was contacted by the buyers directly through my advertisement on your site. I had tried 2 local agents without any success and had seen your site on the web and decided to give it a try . Quite frankly I was skeptical but was quickly amazed when potential buyers contacted me and quickly too !! The buyers are very happy with the house, and I am very happy with the price obtained. I priced the house realistically and obviously I was helped by the fact that there were no Auctioneers fees to be paid so I was happy to pass this saving to the buyers which helped reduce the cost to them. Sellmyhouse.ie really delivered for me ,I am delighted to recommend it to any sellers. If you have a house for sale you would have to be crazy not to try it !!! I am very pleased to let you know that we have secured a buyer for this property via Sellmyhouse.ie. I followed your guidelines in constructing the ad, and the purchaser (from Switzerland) told me that she picked out our house on your site from hundreds of other Irish properties currently advertised. Our house had been advertised via an estate agent on the top Irish property portals, but I had discontinued this arrangement some months ago as it had not yielded the desired results. We chose a Featured Listing and our Sellmyhouse.ie ad certainly delivered for us and at such a low cost, I highly recommend it to private sellers as the best way to market their home online. I have already had 2 viewings from the site, and i think it is excellent. If I had used an Estate Agent, I am sure I would have been at a loss of at least 800 Euros already now and probably not had a viewing, so just like to say on balance I think Sellmyhouse.ie is a great system. .. it is interesting to note that our ad is receiving as many views on your site, as a high cost major property portal where we also have the property advertised. Great site for selling your property as the web site comes top in most searches and is linked to a lot of other sites where house hunters are searching for properties. Easy to use site, and also very prompt customer service. In a relatively short time, I've had over 40 Enquiries and I've just accepted an offer from a buyer who came from your site. All at a very low cost, in a word ... BRILLANT! I am very pleased to let you know that we have secured a buyer for this property via Sellmyhouse.ie. 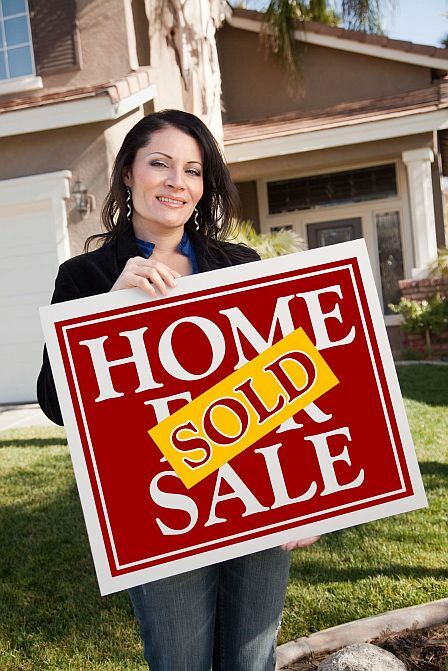 I highly recommend it to private sellers as the best way to market their home online. I am delighted to be able to tell you that the sale of my house in Wexford has been completed just yesterday. I was contacted by the buyers directly through my advertisement on your site. If you have a house for sale you would have to be crazy not to try it !!! ...it is interesting to note that our ad is receiving as many views on your site, as a high cost major property portal where we also have the property advertised. Your Ad STANDS OUT ! ... and Move ... having potentially saved €€€s ! Our super easy to use service will have your ad uploaded in minutes ! Zoopla Property Group (ZPG) is the UK's second largest Online Property Portal with over 50 Million visits a month across it's partner websites. You can't list your Irish property directly on Zoopla, but as an Irish Zoopla partner we can offer you this exceptional service at an unbelievably low price. For a LIMITED Time ... 30 Days standard ad on UK property Partner websites is included with every UNLIMITED AD purchased. Partner sites subject to change.